This might surprise you, but there are times when users are required to hide the root access from certain apps. Sometimes, due to security reasons, there are a few apps that don't function properly on a rooted device. To overcome such an unwanted situation, you need to hide root access on your Android smartphone. Don' worry! The process is quite easy and you won't have to face any trouble while hiding the root feature on your device from apps. In this post, we will make you familiar with three different ways to perform root hider on your phone. Let's get it started and learn more about them. As mentioned, there are times when an app might not function properly on a rooted device. You might get a message like this whenever you try to access the app. 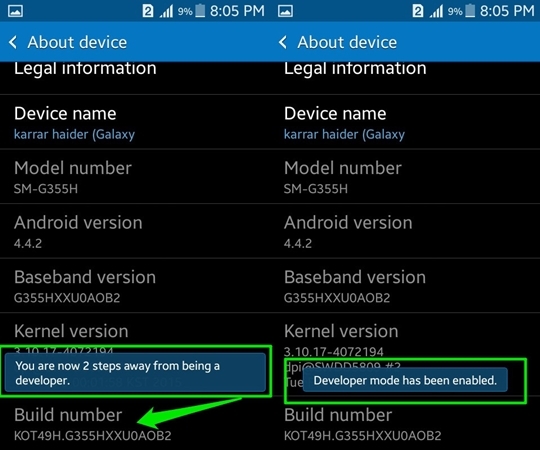 In order to resolve this persisting issue, you can try a root hider app and trick your device. The first option is the Root Cloak App. It is a reliable application that will help you run most of these apps without the need of disabling the root feature on your device. 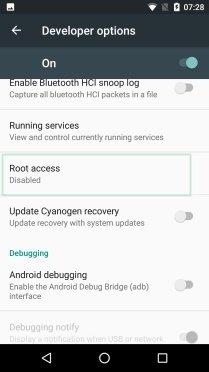 You can the hide root access on your device using Root Cloak by following these steps. 1. Firstly, download Cydia Substrate on your device. You can get it from its official website right here or from its Google Play Store page here. 2. Additionally, if your Android smartphone runs on 4.4 or later versions, then you need to download SELinux Mode Changer as well and set it to “Permissive” option. 3. Now, download Root Cloak from its Google Play Store page right here and install it on your device. 4. After installing it successfully, simply reboot your phone and open the Root Cloak app. From the opening screen, you can simply add the applications from which you want to hide the root access. 5. 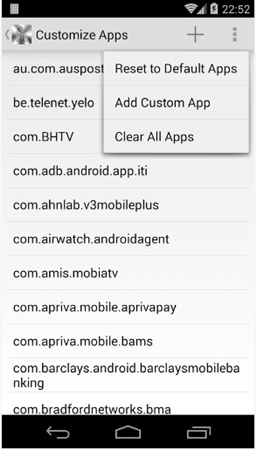 If an app is not listed, then you can add it manually as well. Additionally, you can reset to default apps and clear your selection as well. Congratulations! You can now use your device without any complications. Nevertheless, if this option won't work, then you can try the following alternative. If you are looking for an alternative, then you can just give Hide my Root app a try. The app is freely available on Play Store and comes with plenty of added options as well. With it, you can hide the SU binary option and run all those previously unsupported apps. You can easily use Hide my Root app without much trouble. Simply follow these steps in order to hide the root access on your device with it. 1. 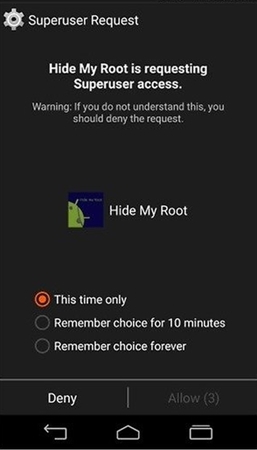 To start with, simply download the Hide my Root app from Play Store right here. 2. After installing the app successfully, you can simply run it. It will initially ask the superuser permission. You can choose the preferred option and tap on the “Allow” button to continue. 3. Now, you will get an option to perform various tasks. 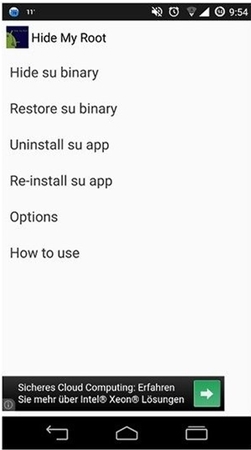 Ideally, you should not uninstall SU app as of now. 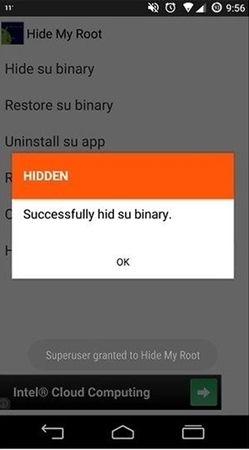 You can simply tap on the “Hide su binary” option to continue. 4. Wait for a few seconds as the application will perform all the needed tasks to hide root access on your device. Whenever it is completed, you will the following prompt. It means that the app is able to hide the root access on your device and it can be used without any hassle. The app also comes with plenty of added features. You can also set a password to perform these tasks in order to secure your device. 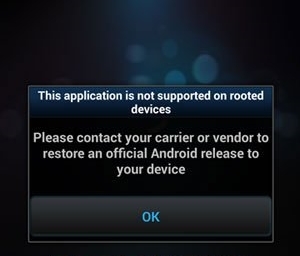 Though, you must note that there are times when Hide my Root doesn't support devices rooted by Kingroot. If you face any issue, then prefer choosing some other alternative. This is another easy, reliable, and hassle-free way to hide the root access on your device. There are a few custom ROMs (like CyanogenMod) that has a facility of a pre-rooted ROM. Therefore, if you are also using a custom ROM like this, then you don't need any third-party app to hide the root access on your phone. You can just turn on/off the root access on your device with a single tap. You can do this by performing these easy steps. 1. In order to hide root access, you need to make sure that you have enabled the “Developer Options” on your device. You can do this by visiting Settings > About Phone and tap the “Build Number” option seven consecutive times. 2. Now, go back to the main menu and visit the Developer Options feature. 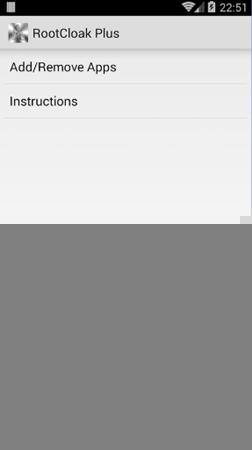 Simply use the toggle button to turn it on and tap on the “Root access” option to disable or enable this feature. 3. The following pop-up window will open. From here, you can either disable the root access entirely or can make any other desirable option as well. That's it! 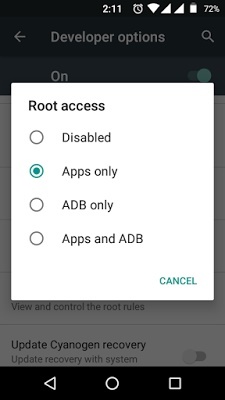 With just one tap, you can disable the root access on your device. If you wish to enable it, follow the same drill and select the respective option from the above list. This is certainly an easy and trouble-free way to control the root access on your smartphone without the assistance of any third-party app. Now when you know how to hide the root access on your device from apps, we hope you won't face any setback while using your Android smartphone. Go ahead and pick your preferred root hider method in order to use your smartphone without any trouble. We are sure that these options will come handy to you on numerous occasions. If you face any setback while hiding the root access on your phone, feel free to let us know in the comments below.